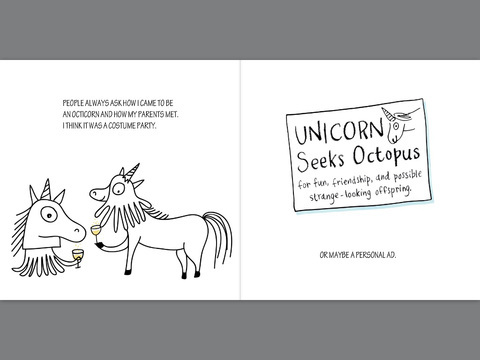 Summary: Octicorn’s dad is a unicorn and Mom is an octopus. He may be the only one in existence, which sometimes makes it hard to fit in. Too bad, because he’s great at ring toss, juggling, and water sports. He’s not a picky eater…plankton, fresh clover, and cupcakes will keep him happy. He loves s’mores, sports, recess. He really wants a jet-ski. Octicorn may look different from everyone else, but inside he’s the same, and would really like to be your friend. 48 pages; ages 4-8. 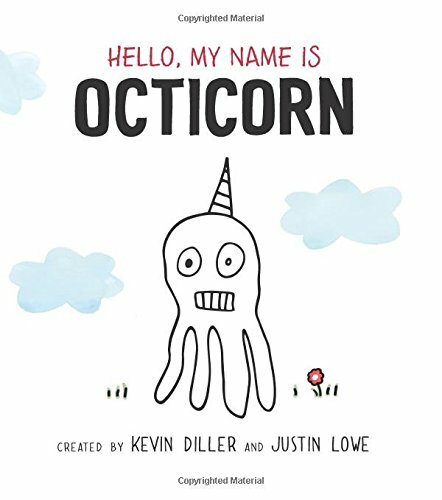 Pros: Octicorn’s a pretty funny guy, but he’s got a serious message, too, and will help young kids look beyond appearances when choosing friends. The simple, funny drawings complement the text perfectly. Cons: I couldn’t tell from the pictures if Octicorn has eight legs like his mom or four legs like his dad.